As video doorbell installation professionals, here at Gulf Coast Installs, we hear a lot of video doorbell myths that have prevented people from installing a video doorbell at all or at least sooner than they did. That’s why today we want to take a little time to address some of the more common video doorbell myths. Myth: A video doorbell allows people to see me when I answer it. Truth: A video doorbell doesn’t feature a screen, what it does feature is a camera. This means that while your Ring can give you a live stream of whoever is standing on your doorstep, they will not be able to see you. You do, however, have the option of using an audio feature to speak to the person on your doorstep. This is a very useful feature if you are someone who has trouble getting to the door very quickly or someone who just doesn’t like to answer the front door unless it’s absolutely necessary. Myth: A video doorbell will listen to me and my family on the sly. Truth: One of the biggest concerns that people have when it comes to modern technology is that their privacy is being compromised. Some people even believe that their video doorbell serves as a listening device, but this isn’t true…at least, not in the sense that these people believe. 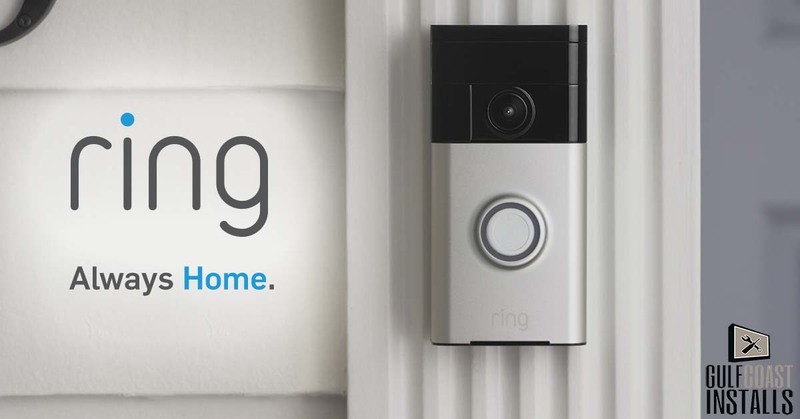 Your Ring doorbell listens to the individual on your front porch and films your front porch when activated to do so. 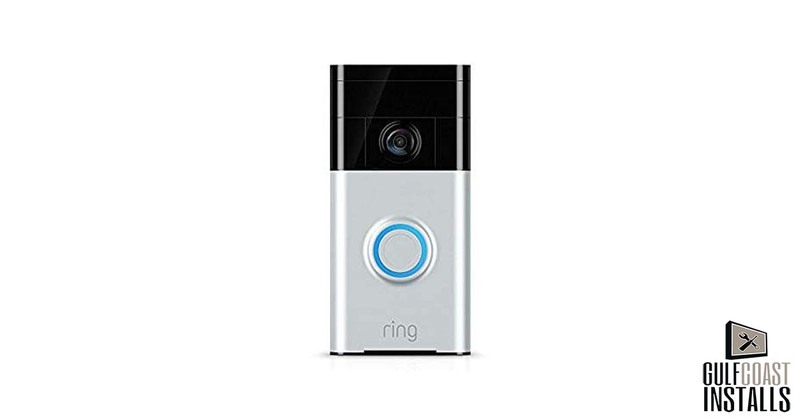 What your Ring doorbell does not do, however, is listen to conversations or record conversations that you and your family are having inside your home. Myth: A video doorbell is just too complicated to install! Truth: Not everyone is tech-savvy and that’s just fine! In fact, that’s where we come in! At Gulf Coast Installs we specialize in all types of installations including video doorbell installation. So you don’t have to worry about the installation or the setup process because all you have to do is give us a call and we’ll get it all done for you! Our technician will show up at your home, get your video doorbell installed and ensure that it’s fully functional before they leave. In fact, when you call on a professional installer to do the job for you, you won’t even have to lift a finger! Myth: A video doorbell is just too complicated to use! Truth: A video doorbell is surprisingly easy to use, but if you’re a little more technologically-challenged, it can be a bit more difficult to get a hang of it (although once you figure out how to work it, it’s incredibly easy and you’ll love the perks!) If you are one of those people who has a bit of trouble with tech. then as we said above, just call on us and we’ll help you through the installation process and walk you through how to use your new system. Myth: I wouldn’t get any additional benefit from a video doorbell than I get from my normal doorbell! Truth: Many people are just reluctant to switch from something that they know, to using something that they haven’t used before. The truth is though, that there are a number of great benefits that you can take advantage of when using a video doorbell and once you start using them, you’ll wonder how you ever lived without one. What kind of benefits can you expect from a video doorbell? You can see who is at your front door without shouting or squinting through the peephole. You can use the audio communication system to let someone know that you are on your way to answering the door if you have mobility concerns or it just takes you a little longer to get to the front door. This means no more guests leaving before you get to the door and no more missed deliveries! A video doorbell system can also be used to monitor your front porch since it records any movement that takes place within the camera’s view so you can track suspicious activity. Looking for Video Doorbell Installation Help in Southwest Florida? If you have changed your mind about video doorbell installation and need professional help with the installation, Gulf Coast Installs can help! Just give us a call today at (239)-682-1077 and we’ll get you set up with an appointment with one of our professional installation experts!